CHICAGO (Reuters) - Lori Lightfoot, a political newcomer, was leading an election for mayor of Chicago on Tuesday and on her way to becoming the first black woman to hold the position in the third-largest U.S. city, official results showed. With 51 percent of precincts counted, Lightfoot, 56, the former president of independent civilian body the Chicago Police Board, had 74 percent. Toni Preckwinkle, 72, a long-time local politician, had 26 percent in the runoff vote to become Chicago's 56th mayor, official results showed. 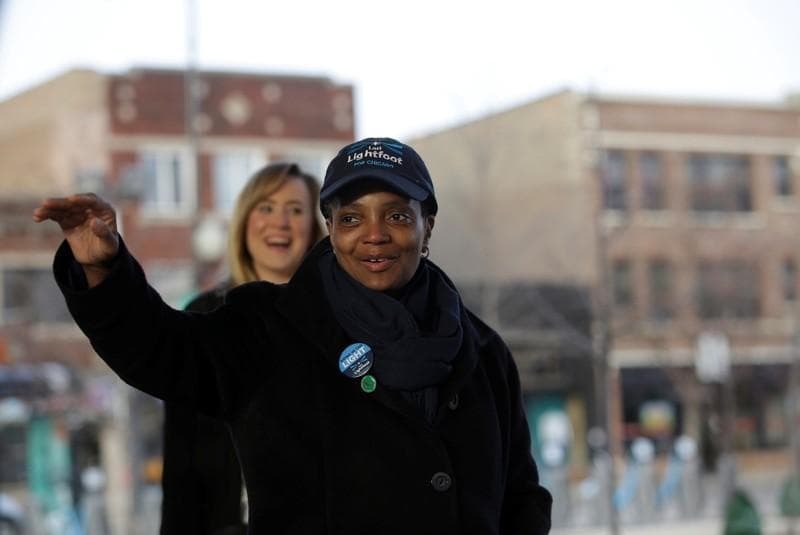 Lightfoot, a former corporate lawyer and federal prosecutor, would be the first openly gay mayor in Chicago. She has never held political office, while Preckwinkle was a city councilwoman for almost 20 years before becoming Cook County board president in 2010. The two candidates earned spots on the ballot after they garnered the most votes among 14 candidates in a February election.